How one man's desire for better sound became a forty year quest to solve one of engineering's most complex challenges: the precise reproduction of music. In 1973, Ivor Tiefenbrun had plenty of reasons to be happy. He’d just married the love of his life, and he’d bought something he’d long dreamed about: the ultimate hi-fi system. According to family legend, the hi-fi was a higher priority than furniture for the marital home. But something was wrong. The hi-fi was state of the art, but to Ivor it didn’t sound as good as the hi-fi he’d listened to in his parents’ house. Being an engineer, he tried to work out why. At the time, everybody who knew about audio knew that the speakers were everything. If you bought bigger, better speakers, you got bigger, better sound. Ivor discovered that everybody was wrong. He experimented with the speakers, but nothing improved the sound until he moved the turntable into another room, running the cables from it underneath the closed door. The music was clearer, more accurate, more involving. Better. This was Ivor’s “Eureka!” moment: he had proved that the speakers’ output was being fed back through the turntable, damaging the source signal. What Ivor discovered with his hi-fi has informed the company he founded ever since: the more musical information you retrieve from the source, the better the sound. Any musical information that’s lost is gone forever, no matter how good the rest of your system. Identifying the problem wasn’t enough for Ivor. He wanted to solve it. Ivor’s answer was to rethink the turntable. His turntable looked like many other turntables of the time, but what it did was completely different. Where other turntables were only designed to be shock-proof, Ivor designed his turntable to be immune from acoustic feedback so that it could get as much information from the record groove as possible. He began by designing an exceptionally quiet central bearing, which his father helped him precision-engineer to incredibly high standards to deliver friction-free, continuous speed. The combination of the new bearing and the turntable’s acoustic isolation ensured that the turntable extracted the maximum amount of information from the record. Ivor proved that his turntable could improve the sound of any hi-fi system. He called it the Sondek LP12 transcription turntable. Improved sound wasn’t the only innovation. The Sondek LP12 was also designed in a modular way so that it was upgradeable. 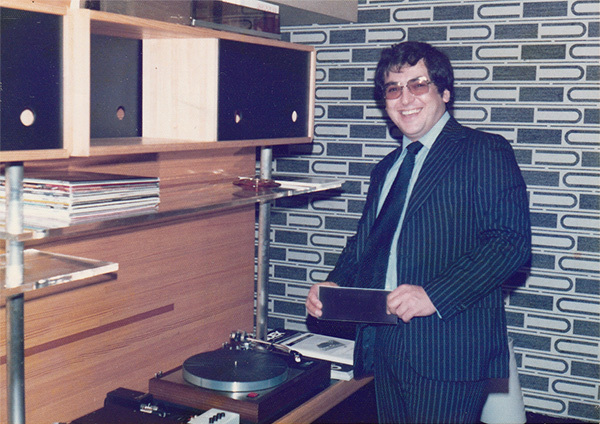 Ivor knew that technology would improve, and he wanted his turntable and the people who bought it to benefit from those improvements in the years to come. That did two things. Firstly, it attracted engineers to Linn who shared Ivor’s passion for better sound. And secondly, it created incredible customer loyalty. That’s because every single person who bought a Sondek LP12 from 1973 onwards has been able to fully upgrade their product to the very latest specification. And we’re still finding ways to improve it. The Sondek LP12 was a success, but Ivor’s next challenge was to deliver the product in quantity. According to conventional wisdom a production line was the most efficient way to manufacture, so Ivor set about putting one in place at Linn. However, it simply wasn’t delivering the quality or the numbers that he and Linn’s rapidly growing army of customers demanded. There must be a better way, Ivor thought. So he gathered his team to try and identify what it might be, and asked for a completed turntable so that everybody could share their ideas about it. Expecting a long wait, Ivor was astonished when the person in charge of production returned very shortly afterwards with a complete Sondek LP12. “How did we build it so quickly?” he asked. “I built it myself,” she replied. Ivor was gobsmacked. 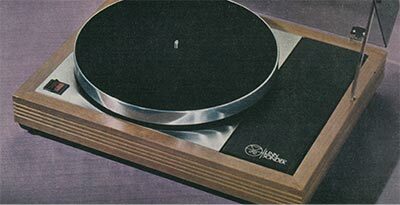 The turntable had been made by hand, from scratch, in record time. By one person. It was perfect. Not for the first time, Ivor had discovered that the conventional wisdom was wrong. If Linn could provide a skilled individual with everything they needed, when they needed it—raw materials, tools and testing equipment—then that person could build an entire turntable more quickly and to a higher standard than a production line could. That person could take full ownership of the outcome, sign their name to the finished product, and have personal pride as the defining quality criterion. He called it Single Stage Build, and it’s been at the heart of our business ever since. Ivor even designed our purpose-built factory around it. Every single Linn product is made by hand just outside Glasgow and signed by the person who builds it. 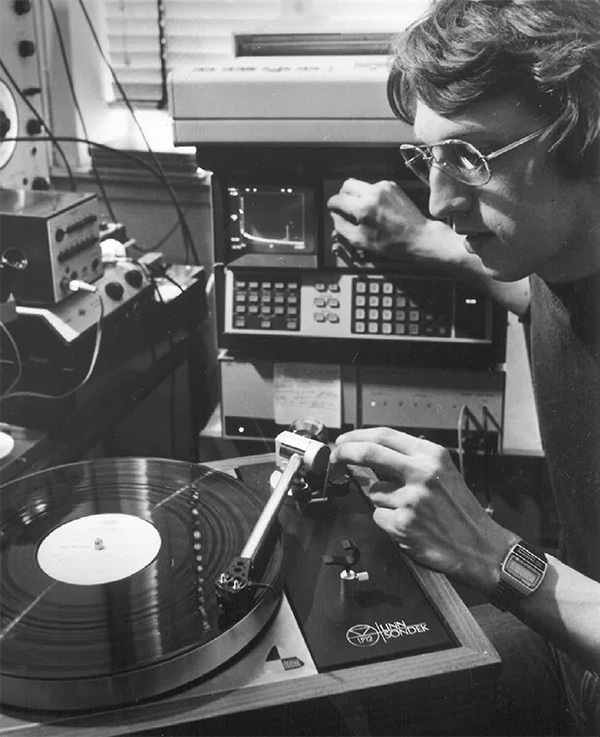 Ivor had improved the turntable to extract as much information as possible from the record groove. With his purpose-built facility, he was able to fulfil his vision of Linn becoming a full system manufacturer. Linn now made turntables, amplifiers and loudspeakers, developing a unique capability in the industry to monitor and control signal quality throughout the audio reproduction chain. But his vision went further. He wanted Linn to become a global leader from the microphone to the ear. And to do that, he felt that Linn needed to make records. The quality of a typical vinyl record simply wasn’t good enough, so we purchased a cutting lathe and started making our own vinyl with ever higher levels of precision, all in the name of making music sound better. That got Ivor thinking. Was there a way to make the recordings better too? And that’s why Linn got into the recording business. Ivor didn’t just create an award-winning record label. He enabled Linn to benefit from a better understanding of how music is created and recorded, the relationships between musicians and conductors and engineers and producers and equipment. If your goal is to hear every last detail of the performance, where better to start than in the room where the performance happens? 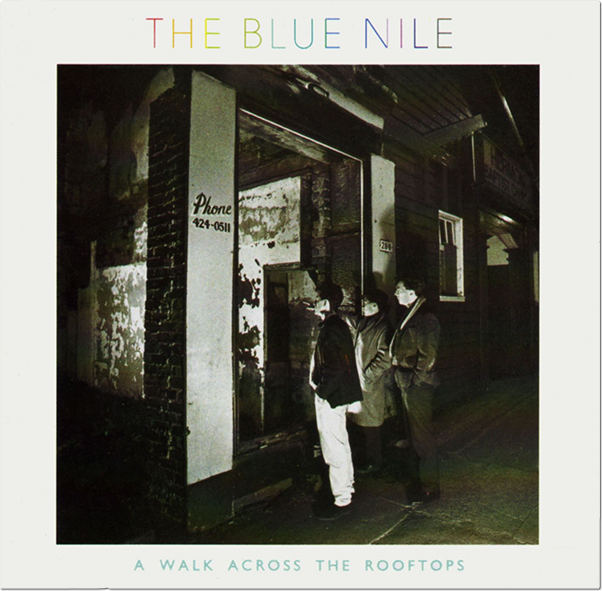 Linn Records’ first releases were The Blue Nile’s A Walk Across The Rooftops and Carol Kidd’s award-winning, eponymous debut. 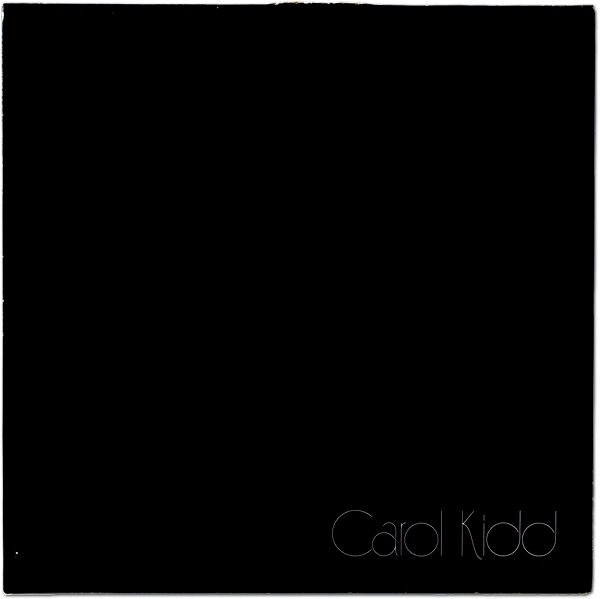 Since then we have released albums by artists in many genres: rock and pop, folk, classical, blues and much more. Since its inception, Linn Records has helped us better understand the design of our products. And like Linn itself, as technology has improved Linn Records has asked a simple question: does this make the music better? 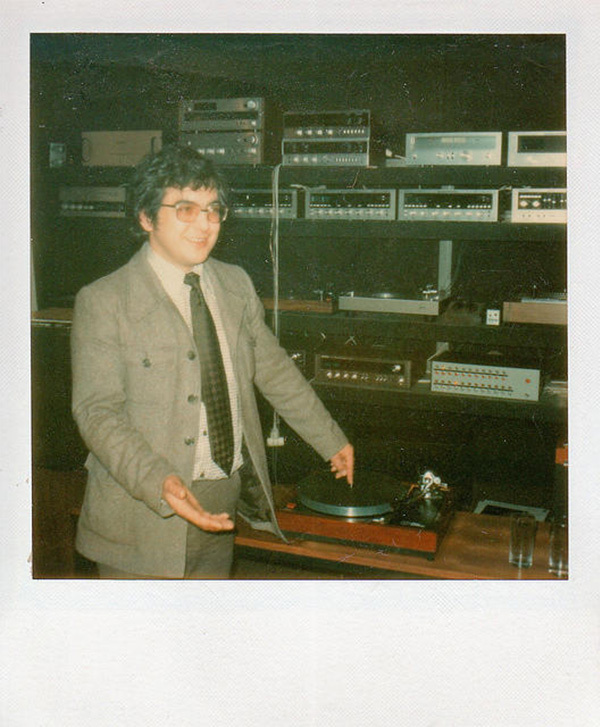 With Linn Records, we pushed the bounds of recording technology. By 1999 we were using digital technology to make recordings at far higher quality than CD—and in 2007 we became the first record label to offer these Studio Master quality recordings for download. Once again, Linn was going against the tide. Where most digital music consumption prized small file sizes over audio quality, delivering sound quality considerably worse than CD, Linn Records used digital to offer sound quality far beyond anything CD could deliver. For the very first time, we could deliver what Ivor had long envisaged: a sound source identical to what was recorded in the studio. That wasn’t all. We recognised that internet connections would soon be fast enough and reliable enough to deliver Studio Master recordings to every home. So we designed a product to play them, the Klimax DS. Where a CD player was limited to play the CD format, the Klimax DS had no such limitations. Its music didn’t come on a silver disc. It came via your broadband connection, streaming music over your home network. With the Klimax DS, music broke free of the constraints of physical media. Three years after Linn introduced Studio Master downloads, we received the prestigious Gramophone Awards’ Record Label of the Year. That’s a huge achievement for any record label, but it’s particularly huge for a small independent. The awards praised Linn’s commitment to improving the quality of the recording process and our innovations in high quality online music delivery. Meanwhile Linn shocked the entire hi-fi industry by doing something unthinkable. We killed the CD player. We saw that digital music could make music sound better, not worse. It could deliver the same sound that was recorded in the studio without loss, or compression, or interference. It could bring the music from the microphone to your ear. Linn already had the perfect sound source in the form of Studio Masters, and now our Klimax DS music streamer was the first product to play those recordings in their full 24-bit, 192KHz glory. We travelled the world, demonstrating the undeniable acoustic benefits of the Klimax DS by comparing it against the world’s best CD players, including Linn’s own legendary CD12. At one such event Ivor's son Gilad, Linn's Director of Engineering at the time, was asked: "If the Klimax DS sounds so much better than CD, and if streaming digital audio is the future, then why would I buy a Linn CD player?" With trepidation, Gilad returned to his team at Linn with the obvious, yet potentially financially ruinous conclusion: Linn had to stop making CD players, and give its customers the clear and simple message: The future of digital is streaming. If the Klimax DS sounds so much better … why would I buy a Linn CD player? We knew we were risking our entire business, but Gilad was right, and his message resonated with our customers who were quick to embrace the new technology; within two years, sales of the Klimax DS and other new digital streamers in the flourishing family of Linn DS players had surpassed our CD player sales. And that’s not all. Just like the Sondek LP12, Linn DS players are designed not just for the technology of the day, but the technology of tomorrow. Their upgradeable software has introduced support for new formats, added new features and continues to improve the performance of the products, with those improvements made available to every single Linn owner. Linn DS didn’t just bring Studio Master quality into people’s homes. It made them fall in love with music all over again. Even though Ivor has celebrated his 70th birthday, Linn will always be a huge part of his life. These days he's not involved in the day-to-day running of the company—he leaves that to Gilad and his team—but he remains the Chairman of the Board. We still make Ivor’s turntable, the Sondek LP12, along with a range of Linn DS players that improve the sound of any hi-fi system. We make beautiful, simple hi-fi systems that make anything you listen to at home sound better. And those systems are modular, upgradeable and designed for life. Every product bears the name of the person who made it, right here in Scotland. 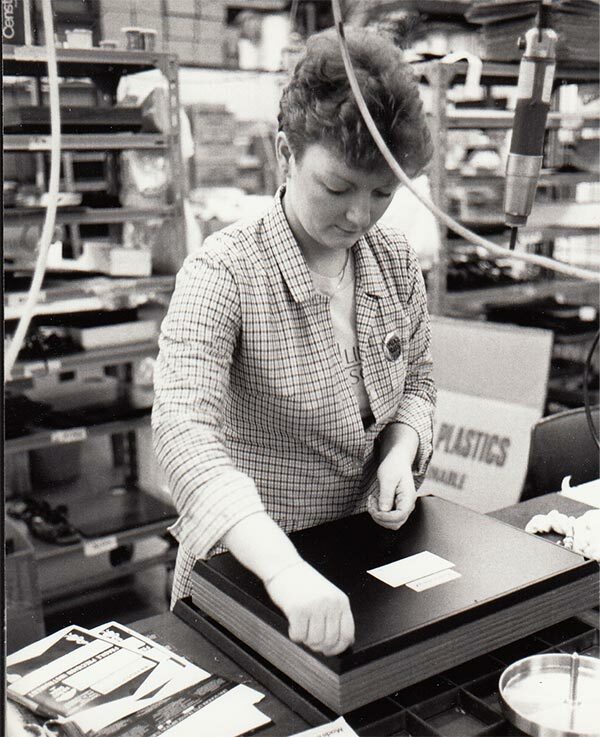 Every Linn product bears the name of the person who made it, right here in Scotland. They’re built by hand, not by machines; the only robots you’ll find in our purpose-built factory just outside Glasgow are serving our skilled operators. We’re proud of every product we make. We wouldn’t put our names on them otherwise. We’re not like other companies. We’re an independent family business, and that means we don’t have external shareholders forcing us to make short-term decisions. We believe in quality and longevity, not planned obsolescence. We’re driven by pride, not profit. We concentrate on delighting our customers, and on what’s driven Linn from the very beginning: the music. We’ve been making music better for more than forty years. Imagine what we’ll do in the next forty.